If ya follow me on insta, then you know my obsession with all things Mill Street Boutique! 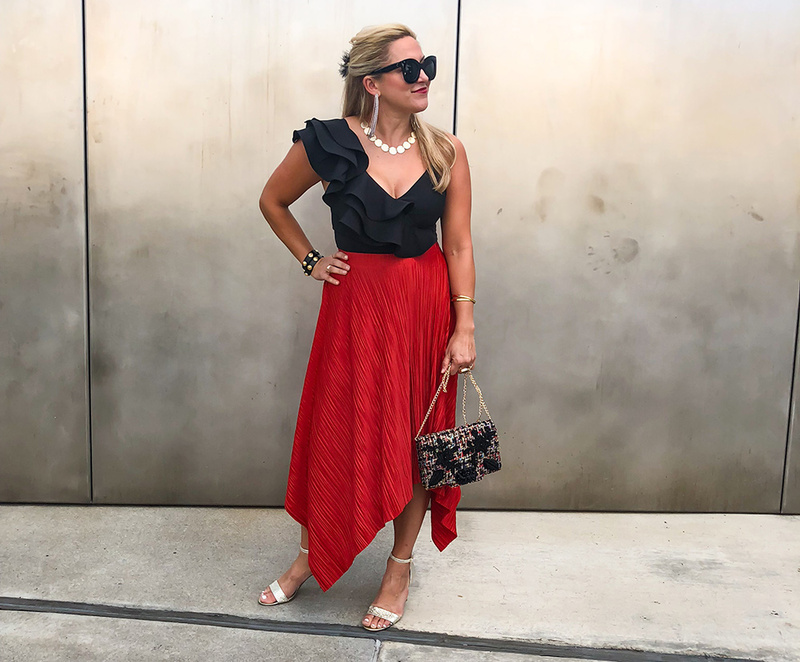 There is something for everyone and I love how they describe their curated shop as “classic with an unexpected twist.” That pretty much sums up my personal style soooo it’s a match made in heaven. Today I’m sharing this uh-mazing dress that will have you wanting to twirl the night away! It’s versatile and the weight of the fabric is extremely luxurious. Right when I saw it, I knew it needed a feather block heel. Highly recommend checking out Mill Street Boutique for that special occasion or the everyday.